Energetic Medicine Practitioners use their skill to tap into a universal grid of energy to influence physiological shifts in a person, plant or animal. This universal power source is available to all people. Many people tap into this source and use the energy unknowingly to transmit healing to another, most children tap it naturally. A practitioner is someone who has honed a sensitivity to work with the energy with clear intentions of healing for the highest good of a patient. Energetic medicine is a science that takes time to learn and to develop into a reliable method of healing. Energy medicine goes hand in hand with spirituality and a knowing in a power much bigger than us. This power source is for all living beings and is available within and without any particular religion, it is part of nature. Energy practitioners have a direct effect on the cells and frequencies in the body to create the healing environments necessary. Any injury or illness still needs to go through the steps of healing, but energetic medicine can greatly speed up the process. Fractured or broken bones heal within 2 weeks or less with energy medicine. Soft tissue damage and wounds heal much faster. Internal and external scar tissue can be dissolved, especially when treated close to the time of the injury or surgery. People with depression and anxiety often feel immediate relief. A healer doesn’t need to touch the patient but he or she will hold their hands above the body to connect with the patient and the universal energy flow. There are 7 main energy centers in the body known as Chakras. Chakra means wheel or motion. There are many chakra like motions in the body. For example, each finger and toe has its own chakra. The 7 main chakras are heavily influenced by 3 locks or doors in the body. These are not spinning energy fields but are gateways to the bigger energy sources outside the body. The health of a chakra depends on the availability of the energy from the 3 doors. The 3 locks (doors) work very similar to a battery. There is one door at the top of the head that allows us to contact an energy source. There is another one in the center of the breast bone and this door is the positive charge of the body. The third lock is below the navel and this is the negative charge of our body’s large battery. These are electrical forces and are not about good and bad. Energy workers can open and balance the doors, which in turn balances the chakras. In addition to the 7 main chakras and 3 locks or doors to create the healing environment, there are the acupuncture meridians or channels. Electricity flows in the channels and the harmony between all the meridians affect the balance of the chakras and locks. There are 12 main meridians that go to and from the fingers and toes and intersect with all the organs. There are many divergent channels from the 12 main ones that go to outer tissues. There are 2 other meridians that create a central light column through the center of the body. The healthy flow of this column is electricity flowing down the front and up the back. In addition to the pathways of electricity, the frequency of the electricity moving throughout the body also has a huge influence on the body’s ability to heal. Acupuncture lines, meridians, extend out of the body into the cosmic field. When the meridians are outside of the body, they are called axitonial lines. Healers can influence the connection and magnitude of the axitonial lines as much as the acupuncture lines in the body. 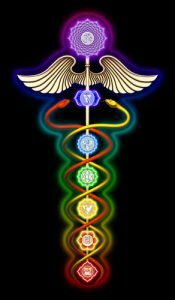 A healer feels the chakras, locks, meridians and frequencies and is able to identify imbalances and correct them. The flow and quality of the body’s electricity greatly affects the organs, hormones and fluids of the body. 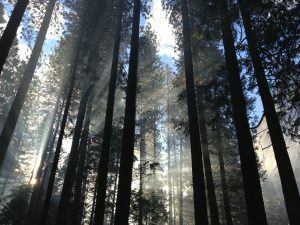 There are still other aspects in the making of the healing environment that the healer may identify and influence. Every patient will benefit. The magnitude of healing and benefit depends on several factors. If someone is going through chemo therapy, the goal at that point may be to help the patient lesson the side effects of the medications. Someone who has been crippled for years with arthritis may have a longer journey to healing than someone who recently broke a bone. Someone with years of physical pain will most likely start to notice a relief in the intensity or duration of the pain. Healers are not attached to an end result, but they are there to create the healing environment. Each person has their own life lessons and often these lessons are felt physically in the body. We are not allowed to judge a person or judge what they are experiencing. Our job as healers is to provide the healing opportunity for all. The patient also has a role in their own healing. The healer is there to provide support to the patient in empowering them to make better choices with their thoughts, habits and behaviors. No one walks alone, when one benefits, we all benefit.